We piled into the 2015 Audi A3: four friends and me, along with their devices—two iPads and two MacBooks. While I pulled up a Google Earth map on the car’s display, they punched in the network name and password for the car’s 4G LTE hotspot. Off we went, and all our online services came with us: music, videos, email, the works. This is the car of the future, one that accommodates your tech as just another passenger. 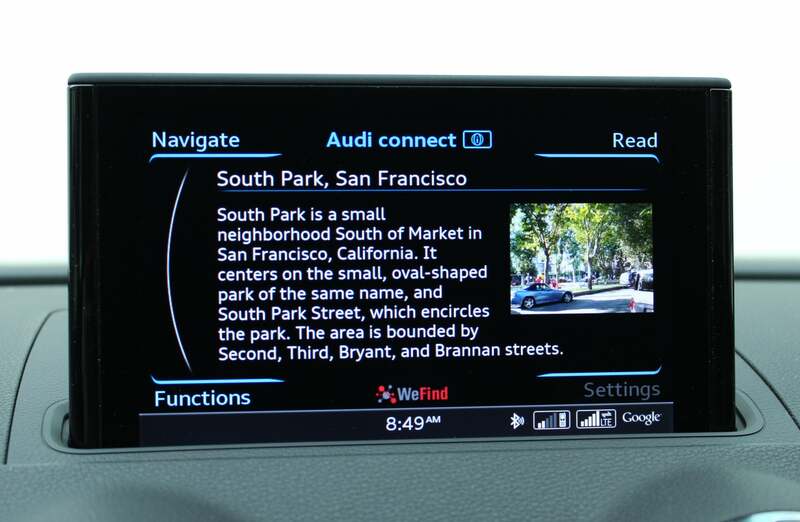 Some current cars might have 3G connectivity, but the 2015 Audi A3 is the first car available with 4G LTE. It won’t be alone for long: General Motors will have it on most 2015 models as well. The connected-car experience is amazing, even with hiccups. The A3’s hotspot claims to accommodate up to eight devices, but when just our four devices were online, the connection could be slow. 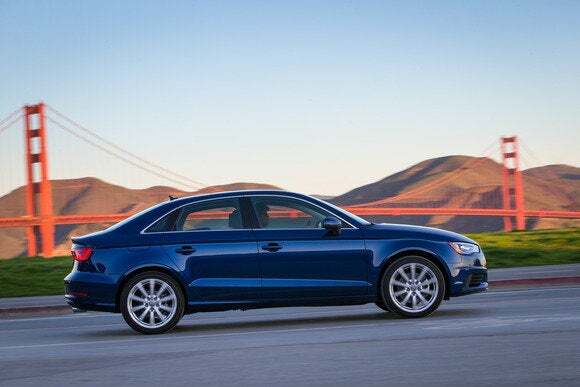 The 2015 Audi A3's hotspot may say it can accommodate eight devices, but we were already experiencing slowdowns with just four connected. 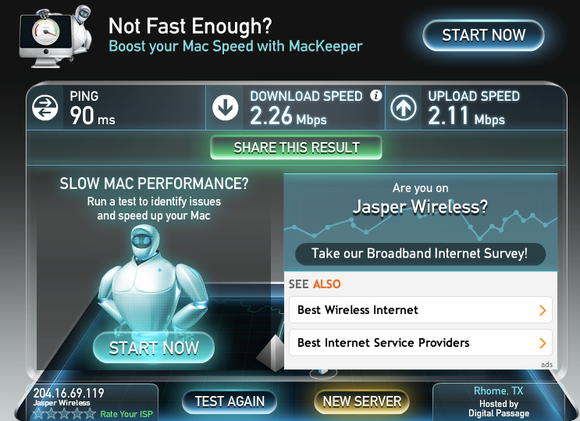 “I got 13MB down before you guys started using it,” complained one passenger. In our brief experience, however, it seemed that once data was buffered on the device, things ran smoothly from there. As the driver, I wasn’t using any devices, but I could still enjoy the A3’s Multi Media Interface infotainment system, or MMI, which is the most advanced version available through the automaker. That’s right, more-expensive Audi models don’t have it as good as this little car, at least not yet. The MMI display in the Audi A3 sits top and center in your line of sight. 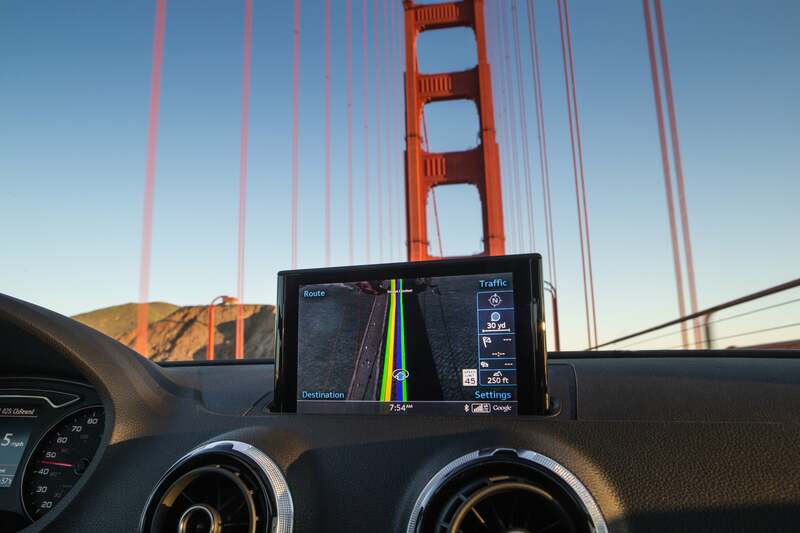 The A3’s MMI system includes a 7-inch color display that rises out of the dashboard when you start the car and tucks itself away neatly when you leave. You control the system using a large dial and surrounding buttons on the lower part of the center console, near the gearshift. The dial has a touchpad on top, so you can actually write a letter using your finger to enter addresses, for instance. The best way to test these interfaces is to recruit an impatient person to try them out. That’s what I did, and I was impressed by how quickly he took to it (and I think he was, too). 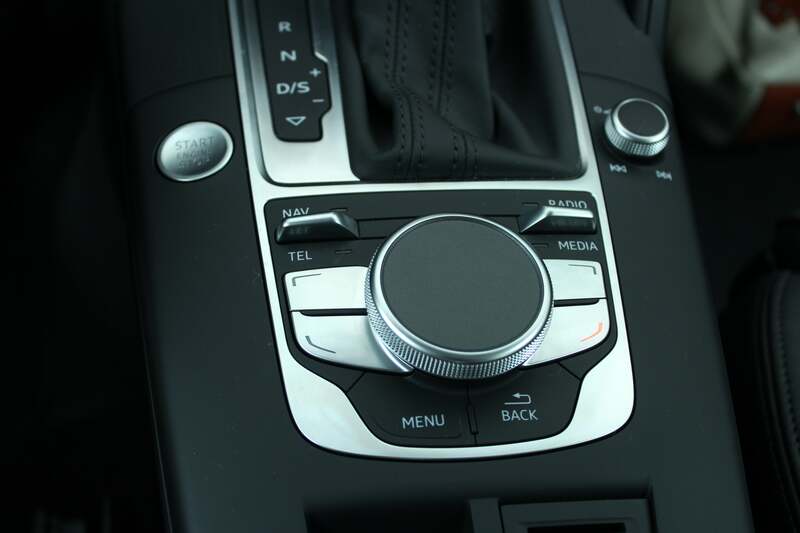 The dial and simple array of buttons on the center console make navigating the MMI system surprisingly easy. There’s a set of toggle switches for moving among the main functions of navigation, telephone, radio, and media (such as streaming from your phone). Four buttons surrounding the dial correspond to the four corners of the display, where choices appear for accessing settings or moving among menus. Of course, you have to be careful about distraction as you do all of this, but the consistent interface cues throughout the MMI system definitely help. The Audi Connect services available for the A3 are better than anything I’ve experienced up to now. Data commonly available now, like weather and maps, look better on the A3's MMI—especially Google Earth’s 3D maps, which make typical onscreen maps seem cartoonish—and the data itself is richer. There's even a roboticky female voice that can read things to you while you drive, the better to keep your eyes on the road. So where are we going? 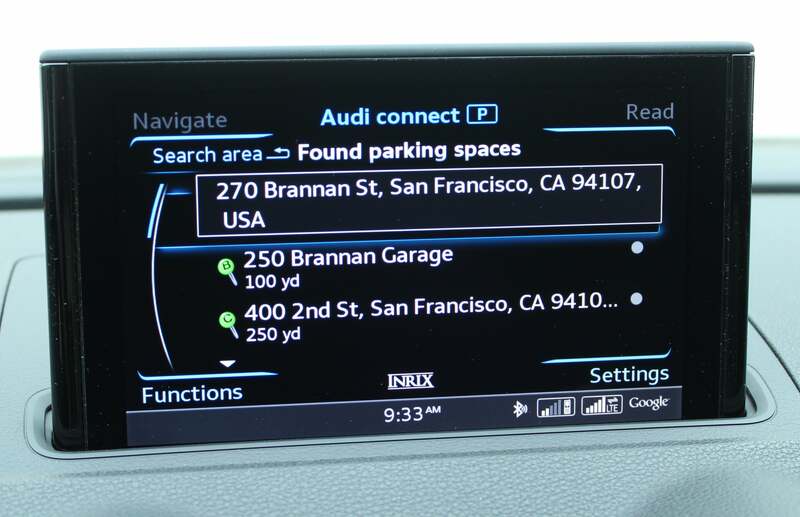 Audi connect can tell you more about your destination. The map data, for instance, can provide point-of-interest information about specific locations. Such as South Park, right across from TechHive's offices. Knowing the nearest gas staiton is great, but knowing the price of the fuel helps you decide whether to stop there or keep driving. Many systems can list local gas stations for you, but in the Audi A3, it can list the gas station and the gas prices, as of an hour or two ago. Leaving on a jet plane? The 2015 Audi A3 can take you there and tell you which flights are leaving next. 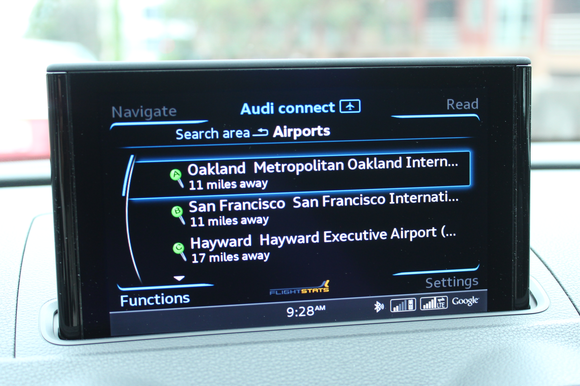 Many systems can find local airports, but in the Audi A3, you can find flight information as well. Everyone needs a place to park. Now you can choose among lots by location or the availability of spaces. Parking? You can prioritize local lots by number of available spaces. Let's have some fun! The 2015 Audi A3 can tell you what's hot and happening in your area, too. You can even look up local events and find stuff to do wherever you’re going. Social networking gets its due, too. The car's voice feature will read your Twitter or Facebook feed aloud. What's up? 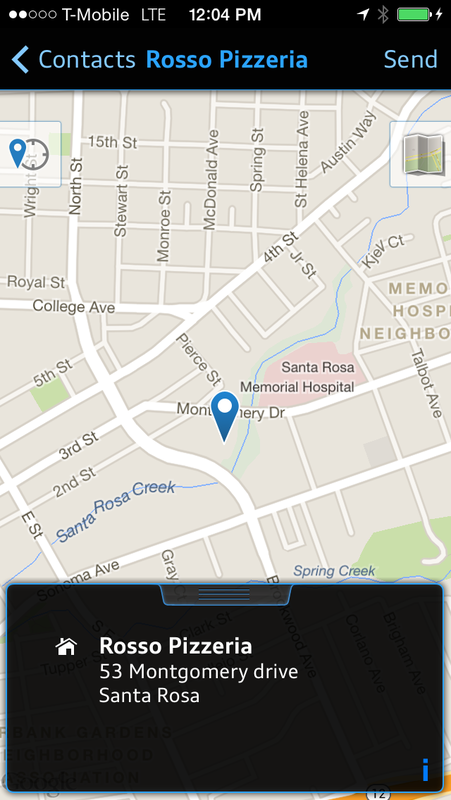 You can post preset Twitter or Facebook messages, customized with your current coordinates or other location data. 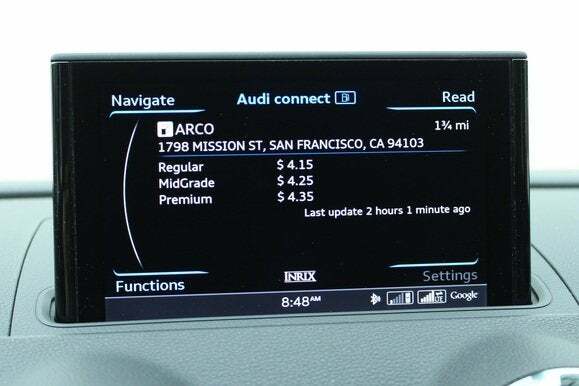 You can also post to either social network, but not random thoughts; Audi provides some canned responses that get their currency from tacking on location data from the car’s GPS. 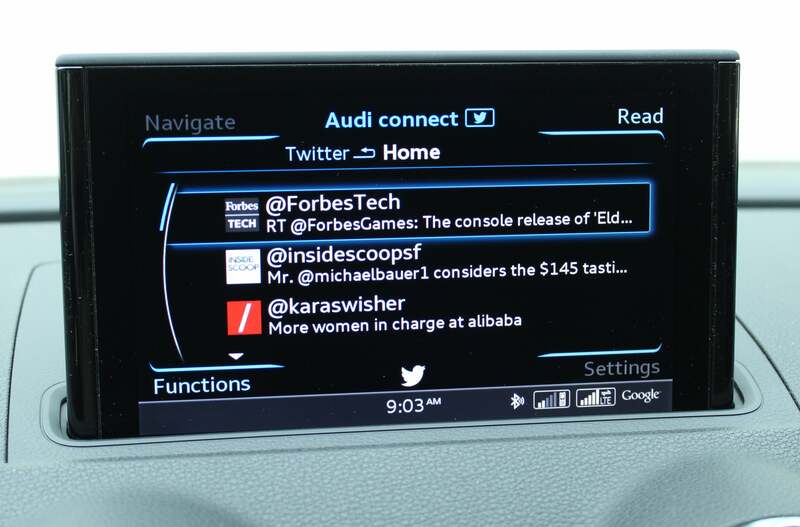 You can write your own message to post to Twitter or Facebook from the car. For instance, a response of “I’m stuck in traffic…” is programmed to end with your current street location or geographic coordinates, or your distance from the destination you set in the navigation system. You can also write your own canned response to add to the list of options. You can send the MMI connect app a photo of a location—even one in Barcelona, Spain—and it will set it as a destination (good luck on that drive). Finally, there’s an app. 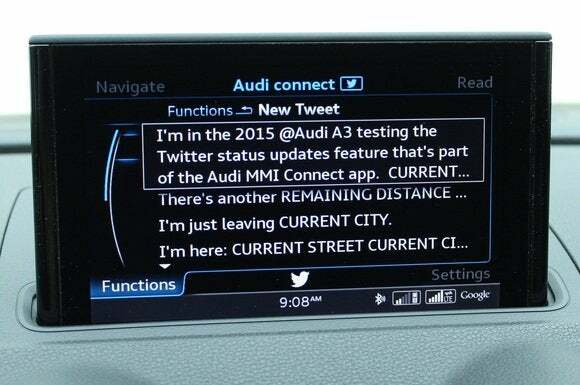 The Audi MMI connect smartphone app (iOS-only for now, Android coming) involves a one-time hassle of setting up an Audi connect account on Audi’s website and associating it with the app that you download to your phone. It’s not a remote-control app with features like lock/unlock, turning on the heat or air-conditioning, or checking other aspects of vehicle status (although you can locate your car using the phone—great in huge parking lots). Instead, it’s meant to funnel data from your smartphone to the car. For instance, if your phone has geotagging enabled, you can take a photo of a location and set it as a destination in the car’s MMI system. 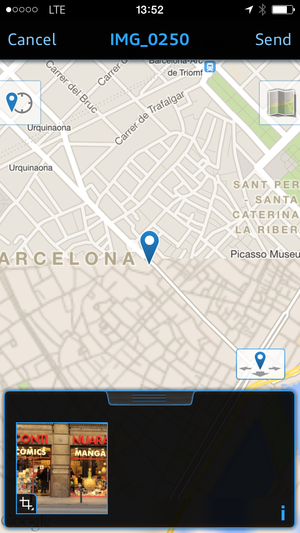 You can also search for a location, and it will show up on a map on your phone, for you to set as a destination. The search seems a bit too broad: When I tried it, a lot of other nearby or similarly named locations popped up on the map as well, and I had to sift for the one I wanted. The MMI connect app can dig into my address book for destinations. The MMI connect app could also (with my permission) check my address book for locations and send them to the car as destinations. When I'm up in Sonoma County, for instance, I'm always looking for an excuse to stop by Rosso Pizzeria. This app could get me there from wherever I happened to be in that area. You could thank the 4G LTE connectivity in the A3 for this wealth of travel-related data, but it’s not providing it out of kindness. 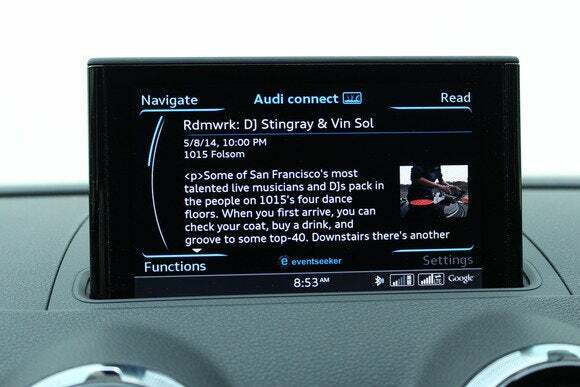 In the Audi A3’s case, the 4G LTE connectivity will be free for the first six months. Subscriptions will cost $99 for 6 months and 5GB of data, or $499 for a year and 30GB of data. The pricing closely resembles that of General Motors, which is busy lining up 4G LTE for much of its 2015 lineup. Both companies use AT&T as the provider. Yes, it’s money. But I have to say, it was really fun to sit (not drive!) in the 2015 Audi A3 with two laptops, an iPad, and my iPhone. While my phone streamed music through the Bang & Olufsen audio system, I used the other devices to send emails, run my work’s web-based applications, and talk to my poor, deskbound coworkers using our instant-messaging system. For a week, I had a cubicle that was also a pretty nice commuter car. In the real world, you can see how faster in-car connectivity could take the tedium out of road trips for the passengers—and provide drivers with some useful and even fun information to enhance the trip. This story, "The 4G mobile hotspot you can drive: The 2015 Audi A3 is all about data" was originally published by TechHive.